The first ever dinner that comes entirely from within less than 1 kilometre of a restaurant Kitchen... THE ZER0KM DINNER! So can everything be actually reared, grown and harvested and can all the produce and ingredients required for one Dinner on one Night be produced within less than one Kilometre from Macreddin Village… the world’s first ZER0KM Dinner! Well, thankfully we still have so much more rural land available in Ireland per capita when compared to other countries in Europe and elsewhere. Even our Irish urban city land requirements take up only 10% of the 59,000 square kilometers currently used in the UK for urban city land, not to mention other countries in Europe or elsewhere. So what does this mean! Well, most probably this means that there is not one Kitchen outside Ireland anywhere, which can achieve the challenge of entirely producing; one Dinner, on one Night completely from start to finish with food produced within less than 1 Kilometre. 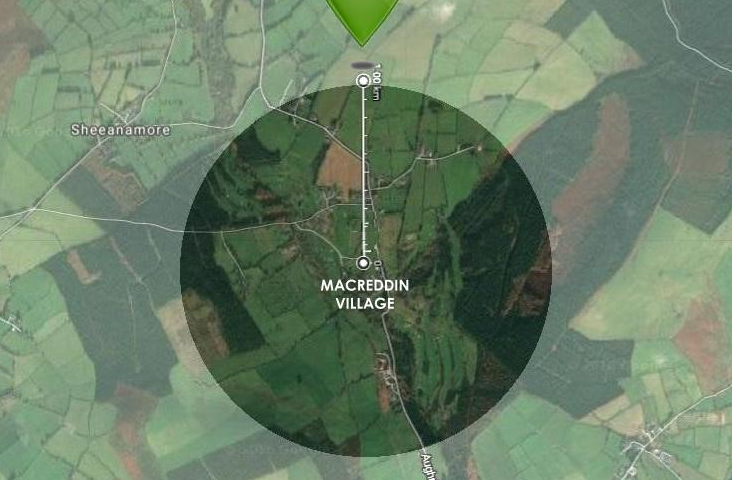 In Macreddin Village, we believe that this just might be possible here and we have already taken up the challenge. Why? Because within this ZER0KM we have over 2km of hedgerows to harvest the Wild Foods required. We also have our ducks, chickens and eggs. And we have our three fruit orchards, our beehives and our vineyard. 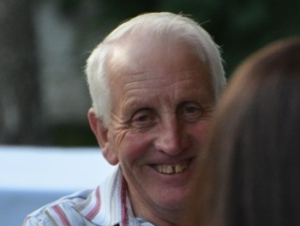 Most importantly though we have our two neighbouring farmers… Liam and Michael. Calculating the amount of land in Ireland that is required to produce one complete menu, for one dinner on just one night for 100 plus guests has been very difficult. 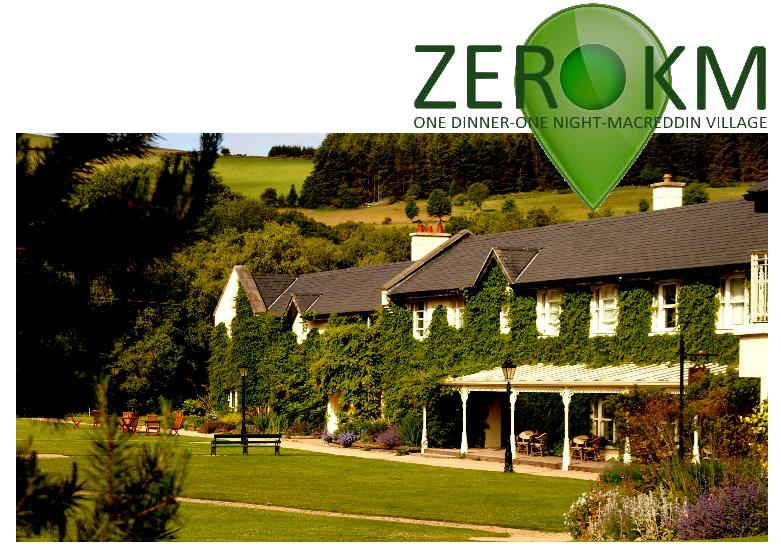 There are just three ZER0KM Farms involved here in Macreddin with this exciting Project. And all have signed up to make this unique and exciting Project a reality for ZER0KM. Macreddin Village has always engaged with small farm production. The walled herb and fruit garden has been there since day-dot and as anyone will testify the hens and ducks are not just free-range… they are free-roaming and daily they are allowed to go wherever they wish in Macreddin to forage and find the best. The little Vineyard has also been very important as well, supplying very special limited wine, grappa and vinegars. The original Macreddin Orchard has been there for as long as anyone can remember and supplies limited quantities of fresh apple juice, pretty cool ciders and most importantly sweet apple syrup. Five years ago, the new Orchard was planted in Macreddin providing further tree and bush fruits. Macreddin Bee-Hives also provide the sweet honey and 2km of hedgerows fill the Wild Foods Pantry with a bounty of foods every year. 0.6 Acres is the area currently farmed and this will be fully required to assist ZER0KM. Macreddin will also be required to grow all the wheat to be milled there for the flour to be used in the Bakery and the Pastry Kitchen. The oil required in the Kitchens also needs rapeseed to be grown and pressed in Macreddin. Not to mention all the potatoes, vegetables, greens and so much more that will be required for the ZER0KM Dinner. Work is already well underway to convert the extra area required to assist with providing all this produce for ZER0KM with raised beds, poly tunnels, seeding and potting. 0.5 Acres of our Arena Field here at Macreddin Village is being converted to extra farmland for ZER0KM. 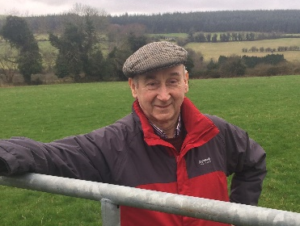 Liam Fanning engages in best practice with his medium sized dairy herd. This spring he installed a brand new milking parlour. Liam also dries off his herd for the winter months, although mass market requires most dairy production to be all year round, this suits us perfectly for ZER0KM as all our dairy produce will be grass-fed. ZER0KM will be required to pasteurise and produce all the Butter, Cream, Milk, Cheese, Buttermilk, Whey etc. for this unique Dinner here in Macreddin Village. Liam is totally on board and just prior to drying off his herd in November he called us to collect the last milk run to practice our cheese making. 0.8 Acres is the grass-land area estimated to provide all the dairy required for ZER0KM. Michael Stapleton also engages in best practice with his flock of sheep. With just forty sheep in his flock, Michael could never be accused of shepherding as a business! Quite simply Michael, shepherds because this is what he grew up with and this shepherding knowledge was passed down to him from generations before him. As a traditional shepherd, Michael does not need to use AI with his flock and this sits comfortable with the ethos of the ZER0KM Event. But more importantly though, for ZER0KM he has an innate traditional farmer’s knowledge of all his flock and will set aside the best 2 or 3 ewes for lambing. 0.6 Acres is the grass-land area estimated to provide the lamb required for ZER0KM. Not for one moment did we think that circa 2.5 acres would be the land requirement to achieve just this one ZER0KM Dinner. For example we now understand that we need to grow 21.5sq.metres of rapeseed just to press and produce 1 Litre of oil and that 25sq.metres of wheat needs to be grown and milled to provide the flour required just for 8 loaves of bread. So 2.5 acres of land is required for the ZER0KM Dinner and to put this into perspective this is roughly 1 Hectare or the complete size of an International Rugby Pitch including the side lines and behind the posts. All would agree that this is a phenomenal area.